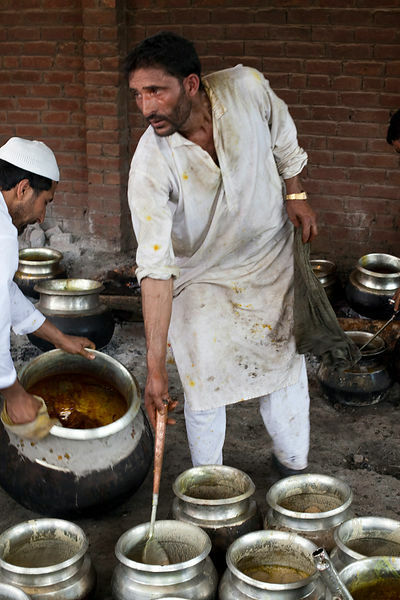 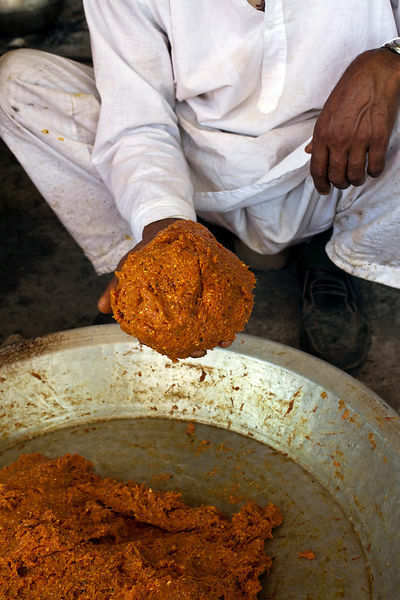 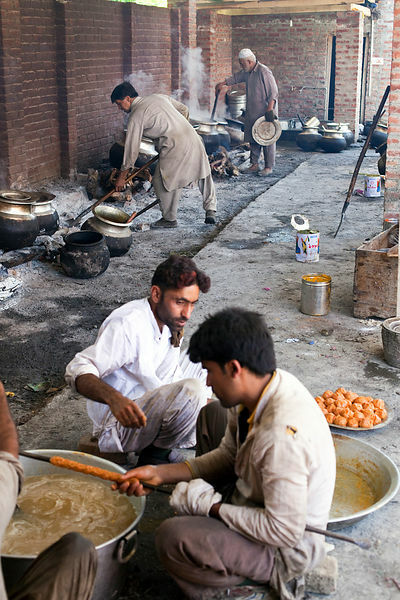 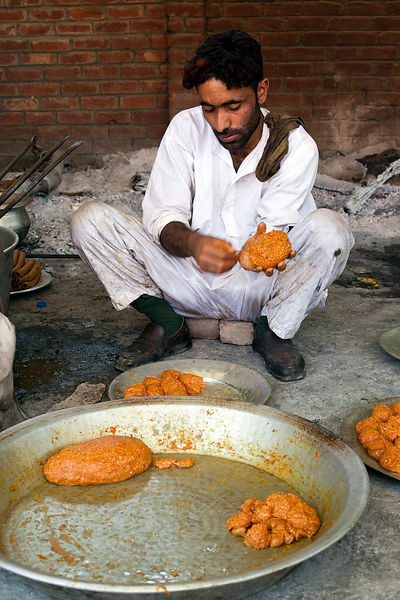 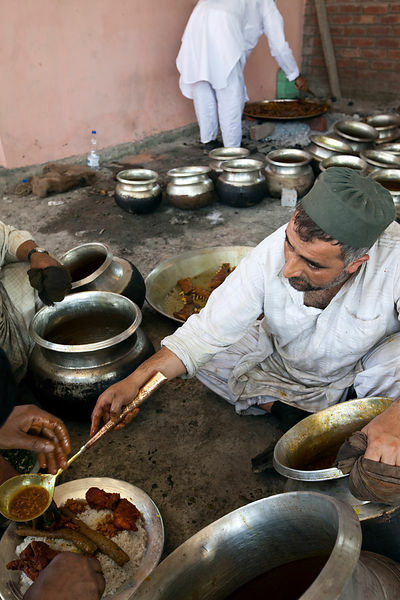 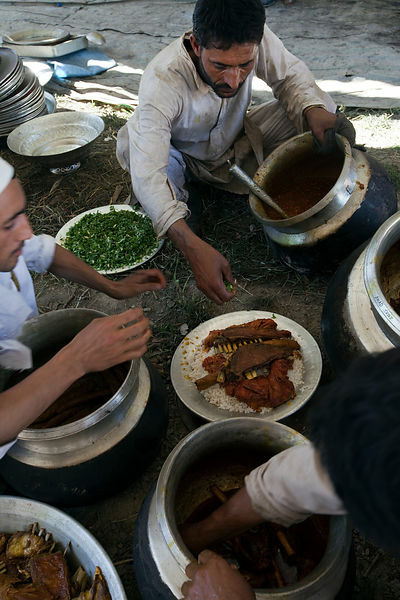 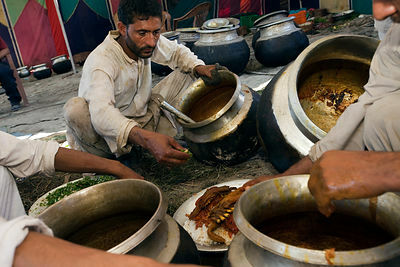 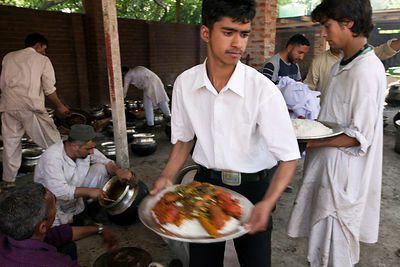 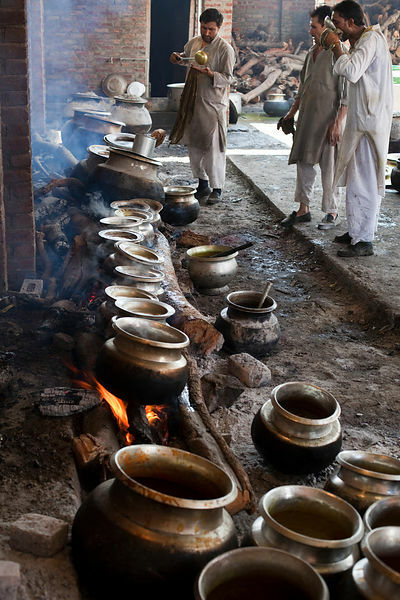 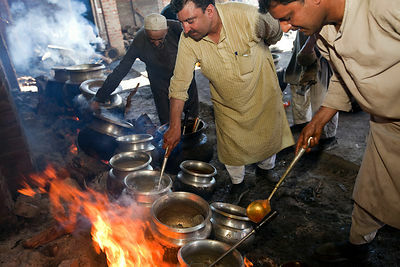 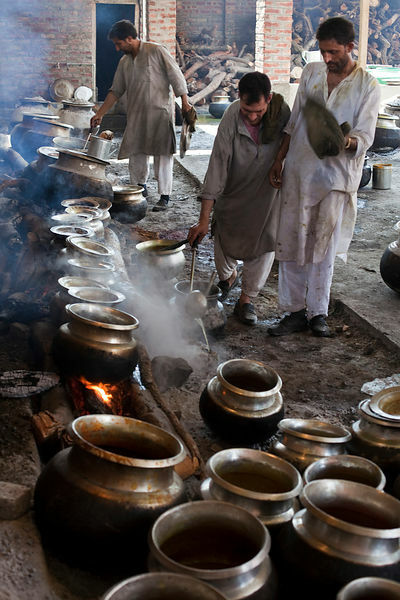 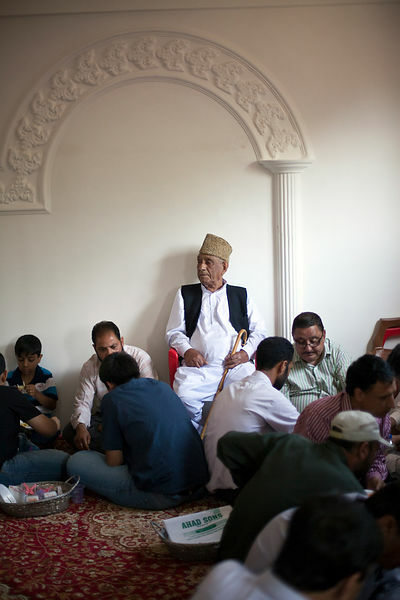 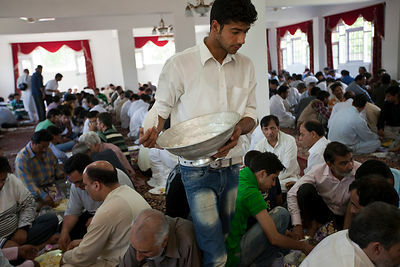 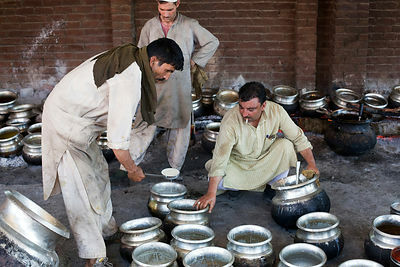 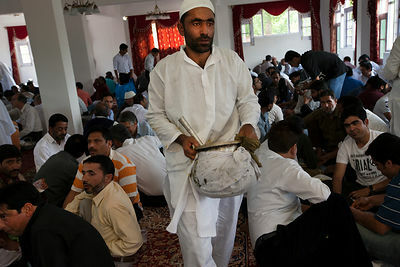 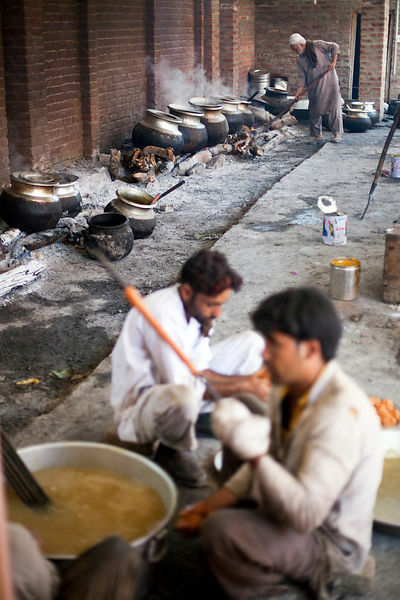 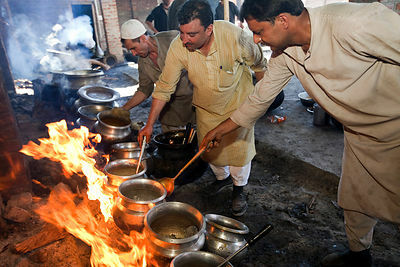 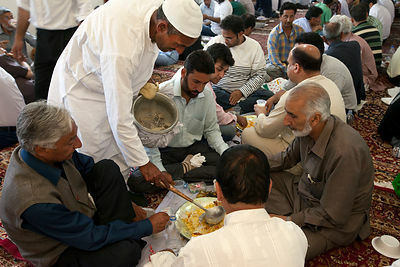 India - Srinagar - Wazas, traditional Kashmiri cooks, prepare a Wazwan a Kashmiri feast. 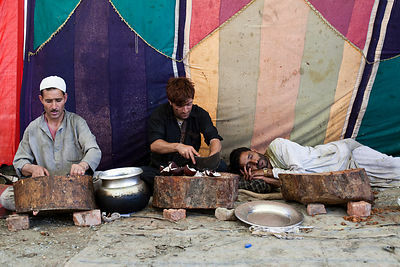 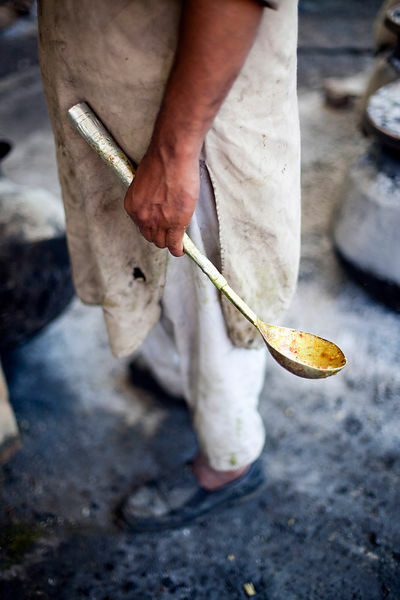 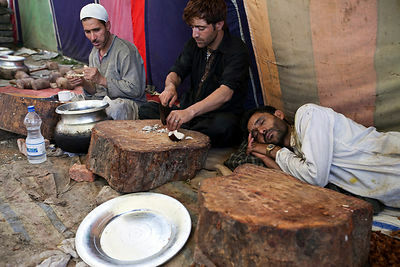 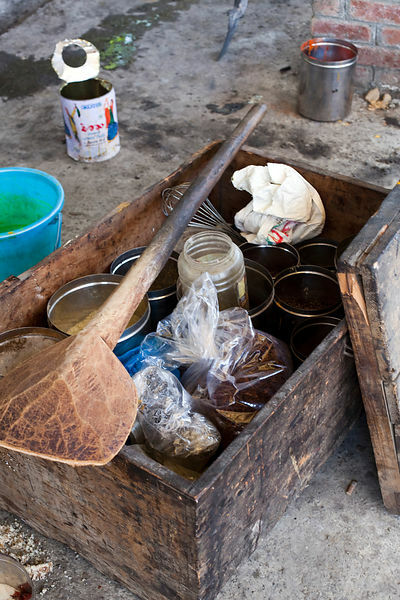 India - Srinagar - A Waza, a traditional Kashmiri cook, chops ingredients whilst his exhausted companion sleeps after cooking all night at a Wazwan feast. 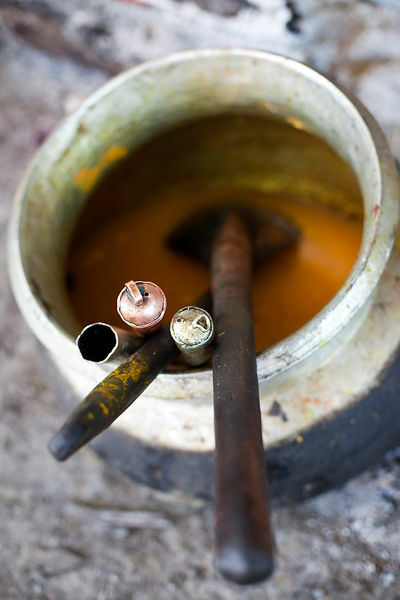 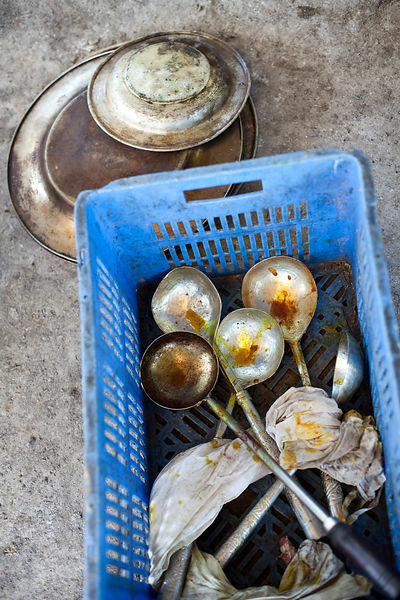 India - Srinagar - Details of pots and spoons in the kitchens of a Wazwan, a traditional Kashmiri feast. 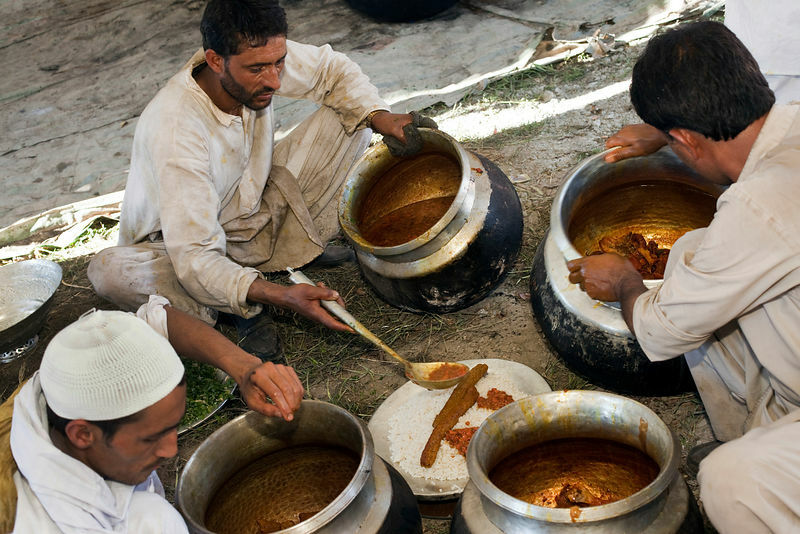 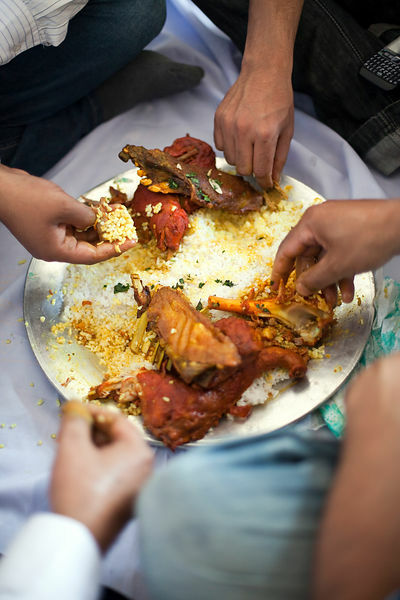 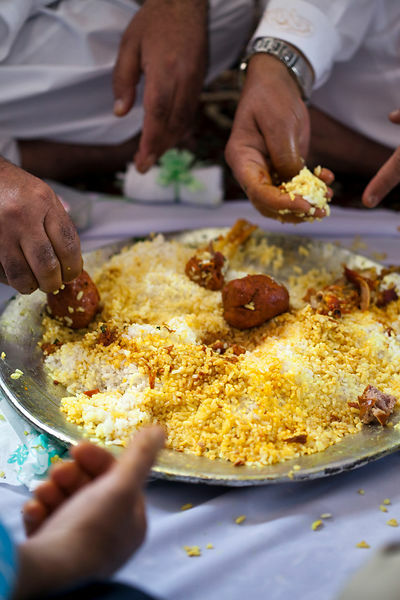 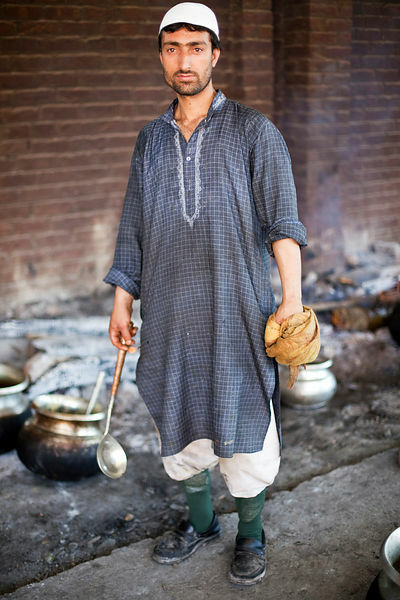 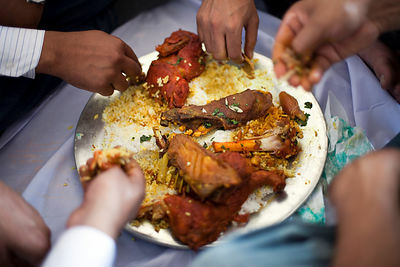 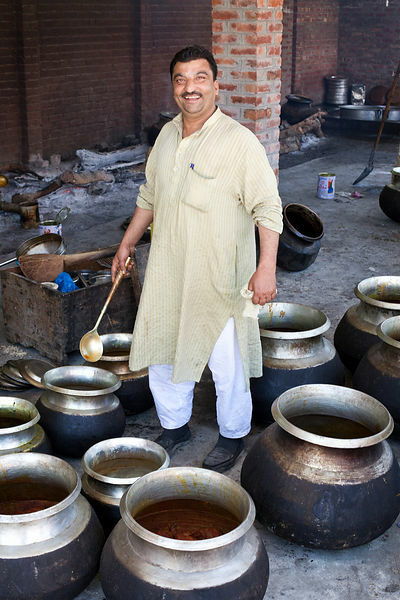 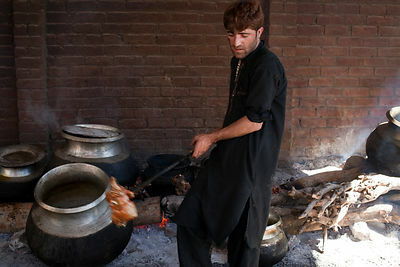 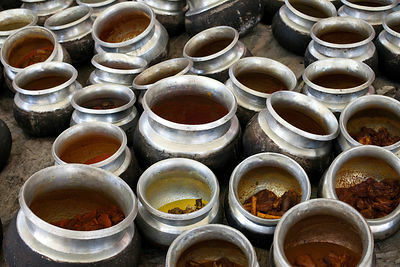 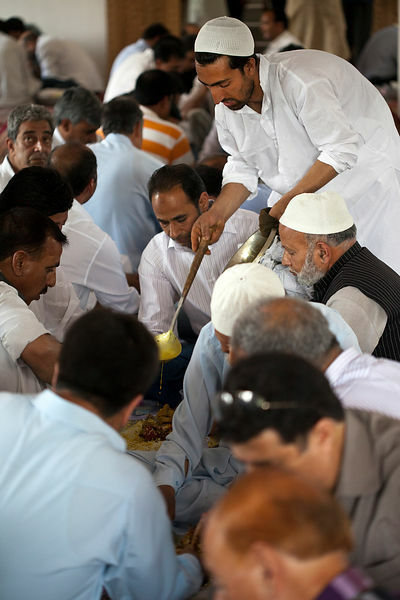 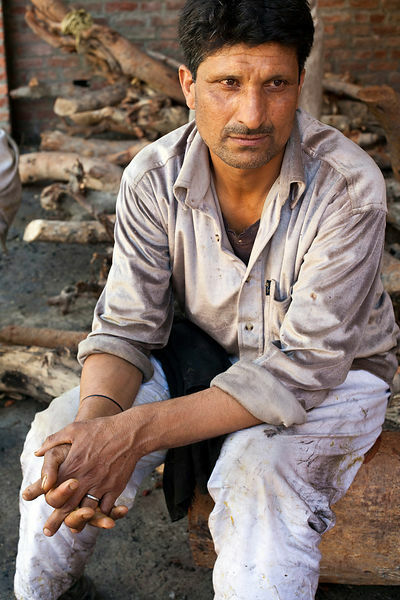 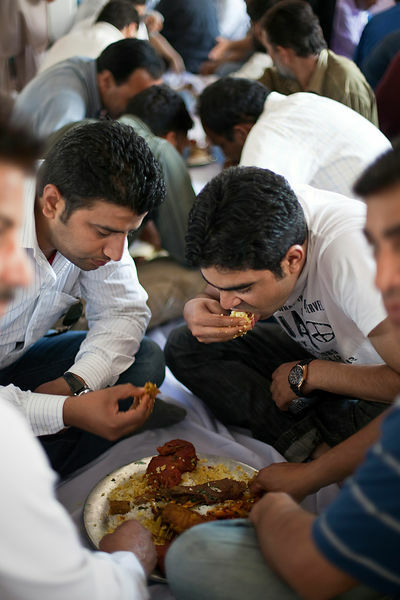 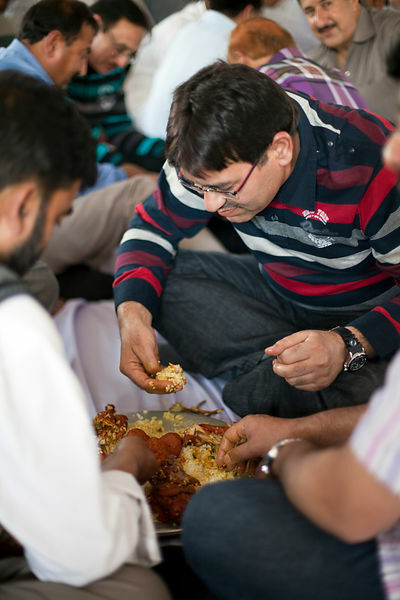 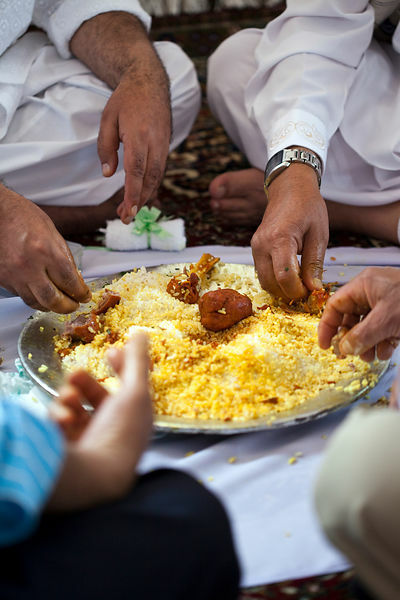 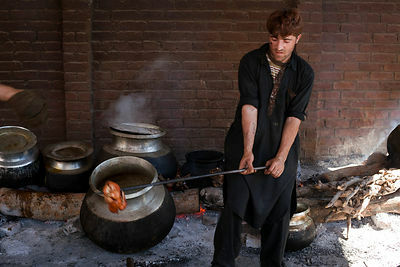 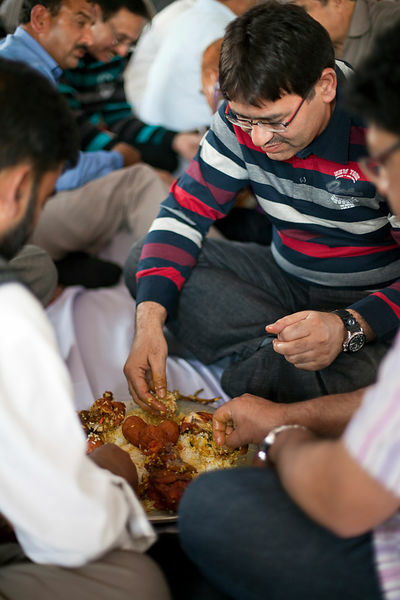 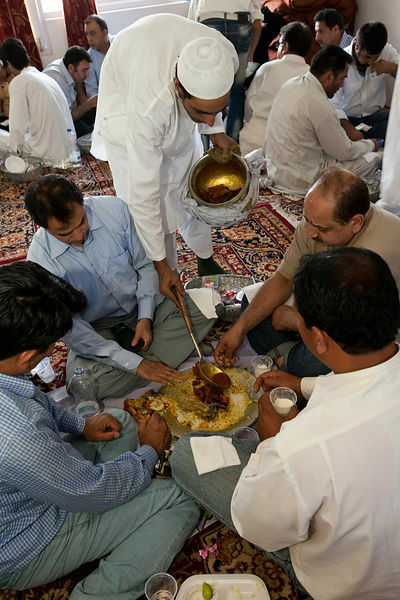 India - Srinagar - A Waza or cook in the Kashmiri traditions cooks and prepares food for a traditional Wazwan feast.